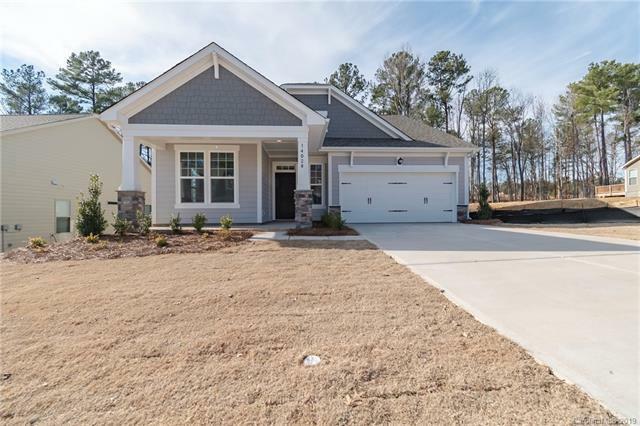 Like new 2018 home in premier new neighborhood of North Reach at The Palisades. Covered porch entry greets you & interior entrance is a spacious 2 story high foyer w/ extra millwork trim & hardwoods. Great room perfect for entertaining opens to kitchen & dining area all with hardwood. Kitchen accents include white cabinets, large island w/ seating, subway tile, granite, gas range, pendant lighting, pantry & stainless appliances.. Master downstairs w/ hardwoods & bay windows. Master Bath has granite, elongated 5 ft shower & large WIC. First floor also has optional study/bedroom w/ hardwood & additional 3rd bedroom. First floor mud room w/ built-in storage & large laundry room w/ cabinets. Upstairs has oversized bonus room, bedroom plus full bath - perfect private mother-in-law suite.. Screened in covered back porch w/ recessed lighting makes a great area to relax & overlook the private & wooded backyard. Includes social membership to Palisades amenities until Dec 2023.